Scary Halloween decorations… I love them!!! 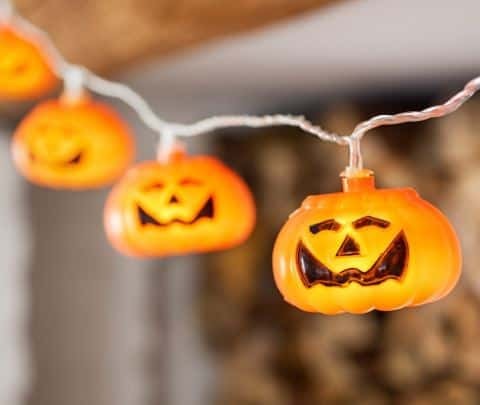 Halloween is one of my favourite times of year and I actually prefer decorating at Halloween more than I do at Christmas – my children also feel the same way. I like to start getting the decorations up as early as possible in early October and I tend to leave them up well into November too! In fact, we still have a plastic skeleton on one of our doors that’s been there for two years. He’s part of the family! 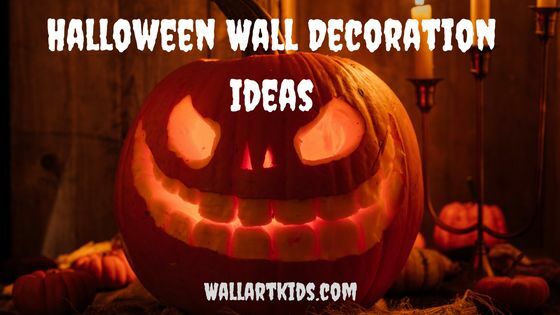 Since it’s now October, I thought it’d be great to look up some spooky Halloween wall decorations that can give your walls a terrifying boost! Your kids will really enjoy helping you putting up Halloween decorations too. You can also check out some great Halloween wall stickers here. 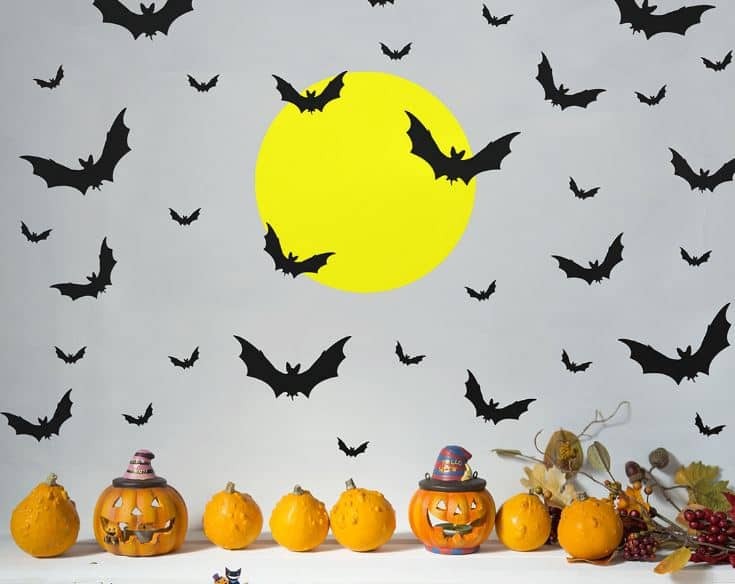 Using wall stickers is a really cost effective way to make an impact on Halloween and at a decent price – plus many wall stickers can be reused for several years if you keep them safe. What is Halloween without BATS! I really love these Halloween Bat decals – which are such a cost effective way of really adding a wow factor to your walls on Halloween. The overall effect looks really impressive and would look fabulous if you’re having a Halloween party, or just to spruce up your walls this Halloween! 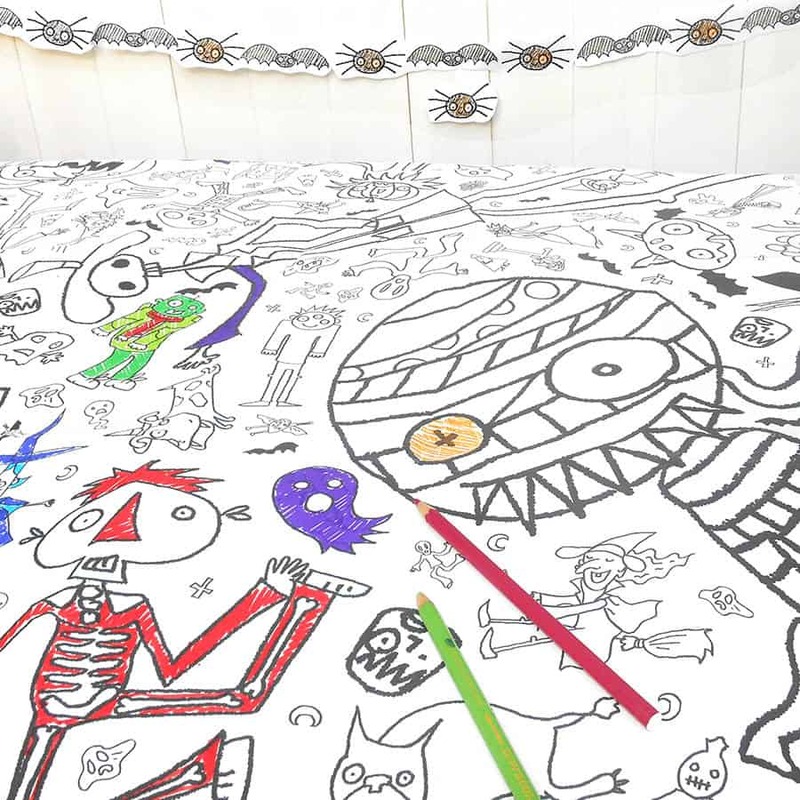 This is a super quirky halloween tablecloth but why not attach it to the wall instead – it would make great fun for a kids Halloween party, where each child could colour in a different character – or just as piece for your child to colour in. It could be used much like temporary colouring in wallpaper! 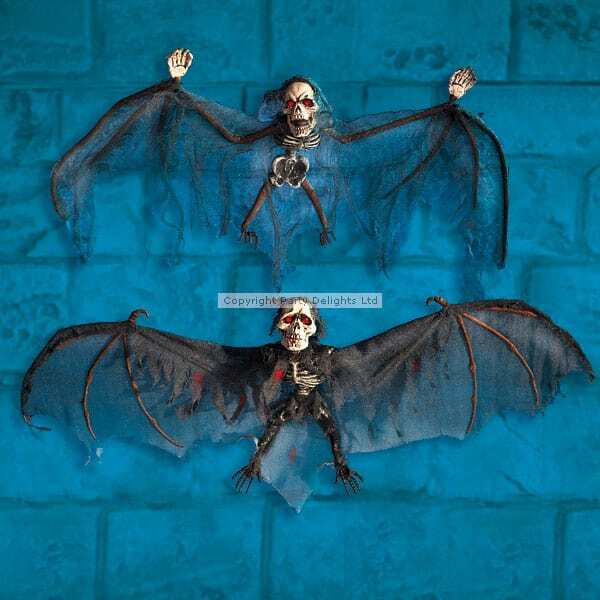 These are fairly disturbing and terrifying hanging bat skeleton decorations! The size is 80 x 30cm. There are two different designs, when more than one is ordered, a variety is sent. Super sweet and simple! 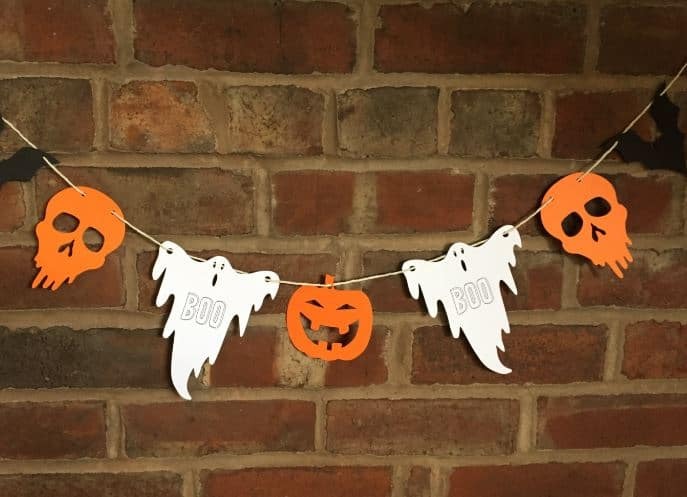 If you’re not up for doing a craft job, you could get this handmade Halloween bunting, great way to add a little extra spookiness and you could always claim you made them yourself…. I won’t tell! Each bunting consists of one orange pumpkin, two ghosts, (with the word BOO writeen on them) two bats and two orange skulls! One of my favourite ways to decorate over Halloween, is to use novelty lights! 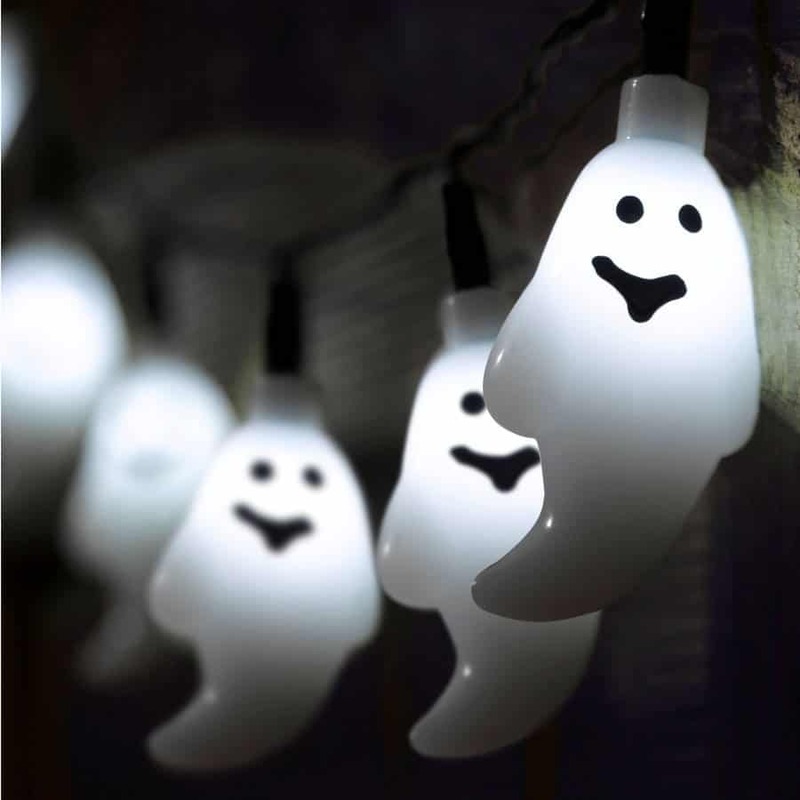 Like these fun little ghost lights, great for decorating the walls of your kids bedroom this Halloween, or for use at a Halloween party. Alternatively, these little Halloween Pumpkin lights would look pretty awesome also. Or how about a combination of the two? 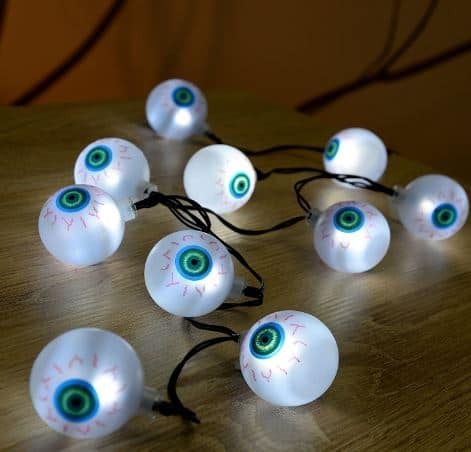 These are my absolute favourite thought – Super cool eyeball lights! There are 10 lights on each cable – each cable is 1.2m. Battery operated. 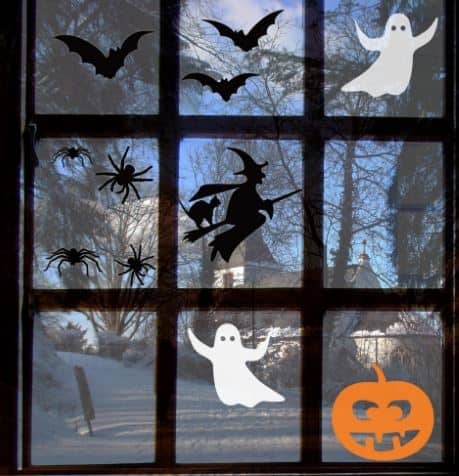 I buy new Halloween wall stickers every year and they always look brilliant, but you can also get window wall stickers – which can stick to mirrors or windows. When I go trick or treating with my kids, we only ever knock on doors where the houses are decorated in some way, whether that be they have a pumpkin outside, or Halloween stickers on their windows or Halloween decorations outside. No one wants unwelcome knocks on their door, so it’s a pretty good cautionary method! Check out the window stickers here! 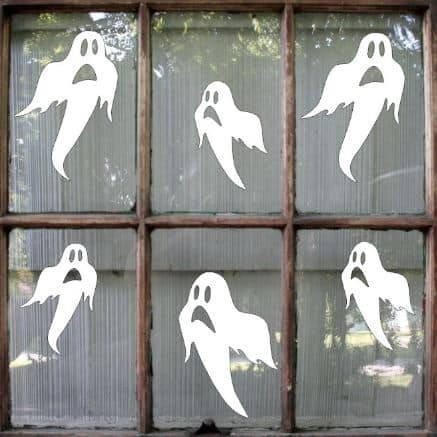 I also love these Ghost window stickers, it’s really fun design, you can readjust them as you like and like other window stickers, they can be used on other flat surfaces – such as mirrors. There are 8 ghosts in total – ranging from 3.5 inches, to 5 inches in length. Creating your own skeletons from a bag of bones could be a fun activity to do around Halloween, or during a Halloween party! This pack contains two skeletons – both 5ft tall! Plus all you need to put them back together again, so they can join the party! 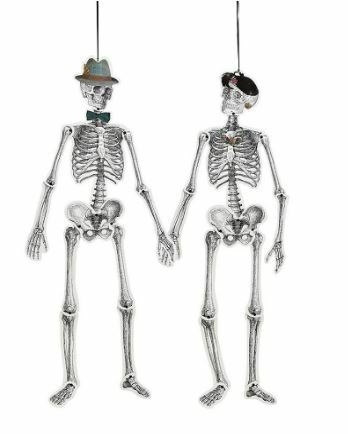 Pick up your Skeleton couple here! Stock up on all your spooky, scary Halloween decorations and goodies in plenty of time for Halloween! Also, don’t forget to check out our Halloween wall stickers here! If you enjoyed this post, please share via the sharing icons below, thank you! Halloween can definitely be a fun holiday for the fall season. I use to have lots of fun when I was a kid. Later I use to have lots of fun with the parties then got back into it with my own kids. They have come a long way with all the great decorations that are available these days and you have listed some pretty good looking ones for this post. Well done and happy Halloween! 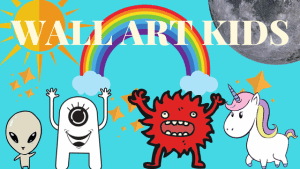 Hiya, there are some great Halloween stickers. the black stickers gives it that scariness and stand out on the wall and It really captures the eye, I know the kids who are trick or treating will see this and it grasp their attention, great for kids, anyway great post thank you!! Nice article Natalie. Thanks for the pics. They’ve given me some great ideas to decorate for my son’s party. Thanks for the product links also. Makes it easy for me to find them. I was never a big fan of Halloween until about 5 years ago and now I’m always looking for different ideas. Thanks again. Out of all these wall decorations, I like the ghost lights and the pumpkin garland best. The spooky skeleton is not a bad idea too except that I think my cat will try to jump up the wall and tear the fabric apart. Oh wait, they don’t come with the while cloth, do they? By the way, do you have any DIY Halloween project ideas for kids? It would be nice to hang one of their arts on the wall. Haha – we have cats too, we put up our decorations recently and have already had some problems with the cats attacking the decorations. 🙂 i was thinking about doing a post for some DIY Halloween decorations actually – I think one of the simplest would be to create some 3d bat decals, like in the first picture. You just need a bat template, which you can download for free online or just create one yourself if you can draw a decent bat! Then simply draw around the bat on to black card and cut them out – you will want a whole bunch of bats to look great. Then fold them in the middle to look like their mid flight and arrange them on any wall with scotch tape. Maybe spray or sprinkle with glitter for a bit of extra fun. Thanks for your comment! Hey Natalie just finished browsing through your blog on the Frozen Themed Bedroom Ideas and I’m loving them. Especially that I have two daughters that love Frozen. I think that the wall stickers is a great idea because like you said it isn’t hard to change out if they grow out of it. Thank you for sharing your ideas. Happy Holiday’s! No worries Jamie, I’m pleased you’ve enjoyed it! Yes, wall stickers are definitely great in that way, that you can so easily change them. All the best! This is such a comprehensive post on everything to do with Halloween and children. My daughter loves bats so the 3D bat decals are the thing for us, she will absolutely love them. 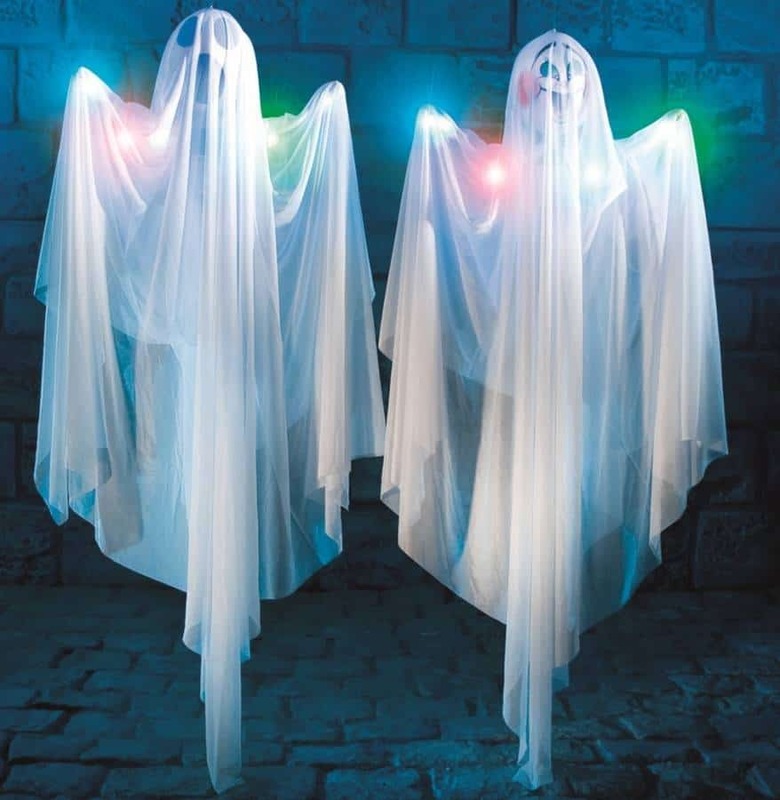 The ghost lights are also a winner and something that should look good with the bats! Thank you for inspiring us to try something new this Halloween, now there is no stopping us. Halloween is my favorite holiday. I love dressing up and handing out candy to the kids. I really love these wall decorations, especially the bats. Because they are 3d, they actually look like they are real. It almost looks like they are moving. And I love the idea of a tablecloth where all of the kids can color. This is great information. I have a birthday in October and so does my wife. We throw huge parties watch year to celebrate them. This is just what I needed. Because our decorations and other things were lost when we moved. Thanks for this post. I will share it and bookmark your site.